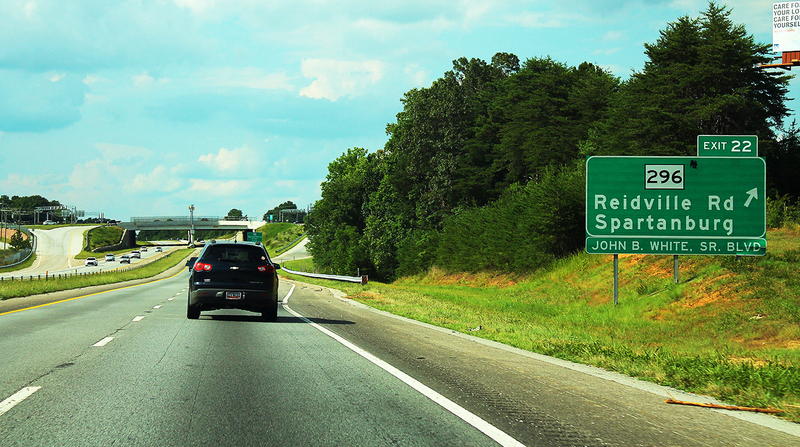 The South Carolina Department of Transportation has developed a program to improve mobility and facilitate freight movement on rural interstate highways. The Rural Interstate Freight Network Mobility Improvement program was designed to improve reliability and productivity, reduce travel costs and sustain the economic health of the state. The program prioritizes interstate corridors in rural areas that could benefit from added capacity. James Feda, SCDOT deputy secretary for intermodal planning, said the program was developed, in part, to prepare for the increased freight that South Carolina is expecting in the coming years. The project granted first priority in the program is widening a 43-mile portion of Interstate 26 that runs from Old Sandy Run Road southeast of Columbia to the route’s intersection with I-95. I-26 bisects South Carolina, stretching diagonally from Charleston, home of the state’s biggest port, to the North Carolina border. According to South Carolina Ports Authority, the port of Charleston’s top exports are paper products, auto parts and lumber. It ranks No. 8 on the U.S. Census Bureau’s list of top 10 U.S. seaport districts in dollar value of goods handled, with $69.96 billion. South Carolina Trucking Association President Rick Todd identified I-26 as a principal route for commercial traffic and tourists who are heading to the coast. The project listed second in SCDOT’s program involves widening a 33-mile strip of I-95 from the Georgia state line to Yemassee. The third priority project involves widening another portion of I-26, an 18-mile strip from the intersection with I-95 east to Ridgeville Road. Feda said that the projects ranked No. 1 and No. 3 in the program would widen the stretch of I-26 that currently is four lanes. The rest of the route stretching from Columbia to Charleston has at least six lanes. A maintenance tax credit included in Act 40 of 2017 (also known as the Roads Bill) will sunset in 2023, at which point it will make about $114 million a year available to SCDOT. Feda said that about $80 million of that sum would be directed to the rural interstates program each year. SCDOT will start preliminary scoping work on the projects soon to be ready to “hit the street” in 2023, according to Feda. Trucking is the primary mode of freight travel in South Carolina and is projected to increase. According to SCDOT, truck freight tonnage is estimated to rise from 375 million tons to 600 million tons in 2040. Also, truck commodity value is forecast to increase from $612 billion to $1.18 trillion by 2040.